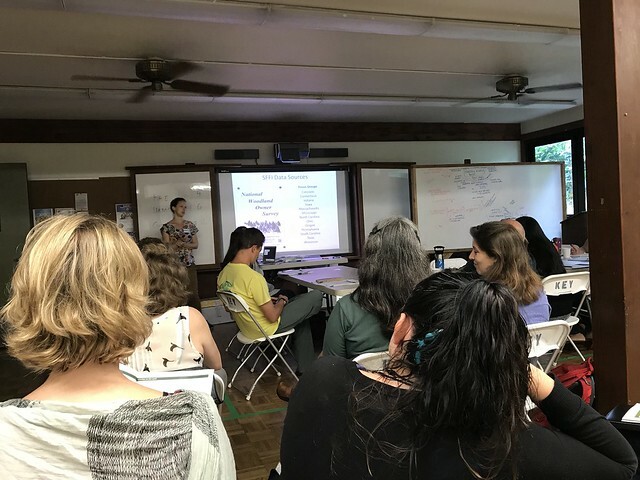 On February 22 and 23 in Kaneohe, HWMO and a group of HWMO’s partners from University of Hawaii CTAHR, DNLR Division of Forestry and Wildlife, Guam Forestry, and Honolulu Fire Department gathered for a breakout discussion on how to improve engagement around the wildfire issue in Hawaii Kai and Waianae. The discussion was part of a TELE Workshop, a project of the Sustaining Family Forests Initiative, a collaboration between Yale School of Forestry & Environmental Studies, the U.S. Forest Service, and the Center for Nonprofit Strategies. During the workshop, participants learned the ins and outs of designing and implementing more effective programming and outreach with landowners. We found the training to be incredibly useful and it will help us better our own wildfire engagement strategies.